* No major changes. Stock indexes stay bullish with upward MoM. 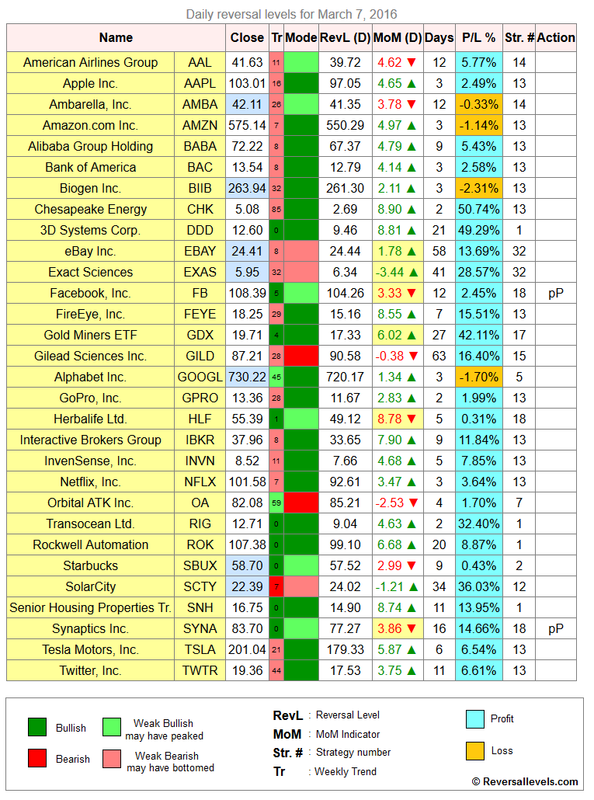 * Partial profits signal for FB and SYNA, a 15% gain in 16 days. 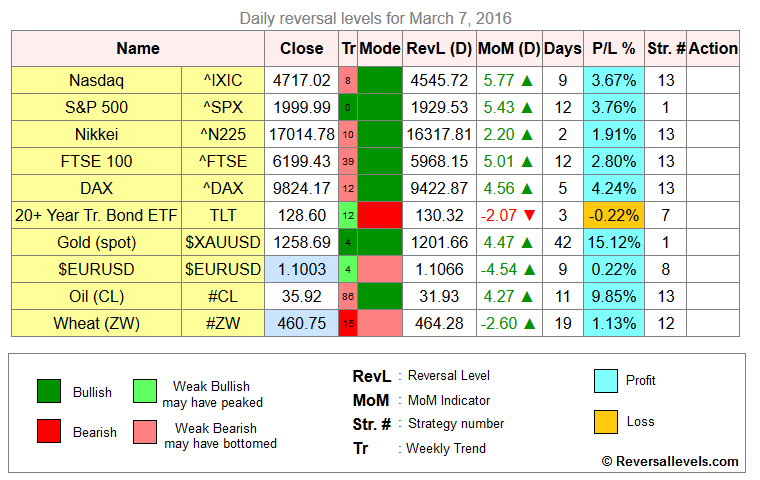 Weekly reversal levels for March 5, 2016.